Are you ready for some surprises?! Just kidding. 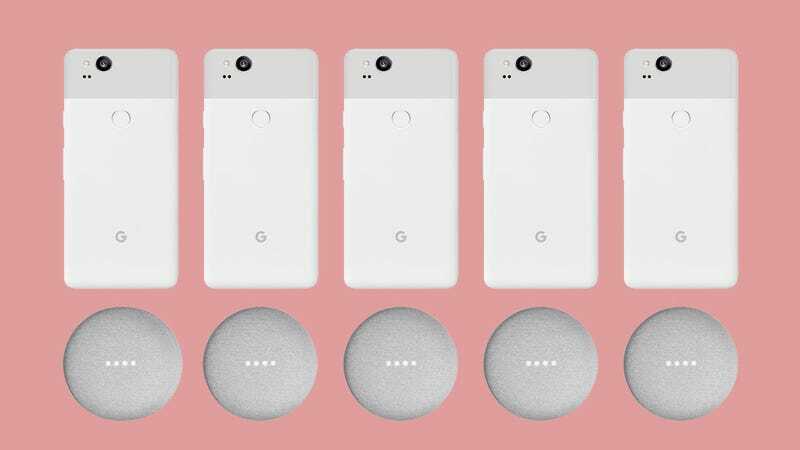 Leaks on top of leaks on top of leaks suggest that Google will announce the Pixel 2 and Pixel 2 XL smartphones as well as a new Google Home Mini, a new Chromebook, and a new Daydream headset at Wednesday’s big Made by Google event. Even though we have a good idea of what Google is up to, this huge hardware reveal stands to give us a better picture of how the search giant is responding to its competitors. Apple, as it does, recently gave people a whole new reason to part with their money in the iPhone X, and a week ago, Amazon doubled down on its Alexa voice assistant with a host of new Echo products. Whether Google is doing enough to remain relevant in the smartphone and smart speaker market remains to be seen. We’ll be liveblogging the Google event right here. You can watch the livestream on YouTube. But you really want to read our liveblog below.